Eat It, Thanos. 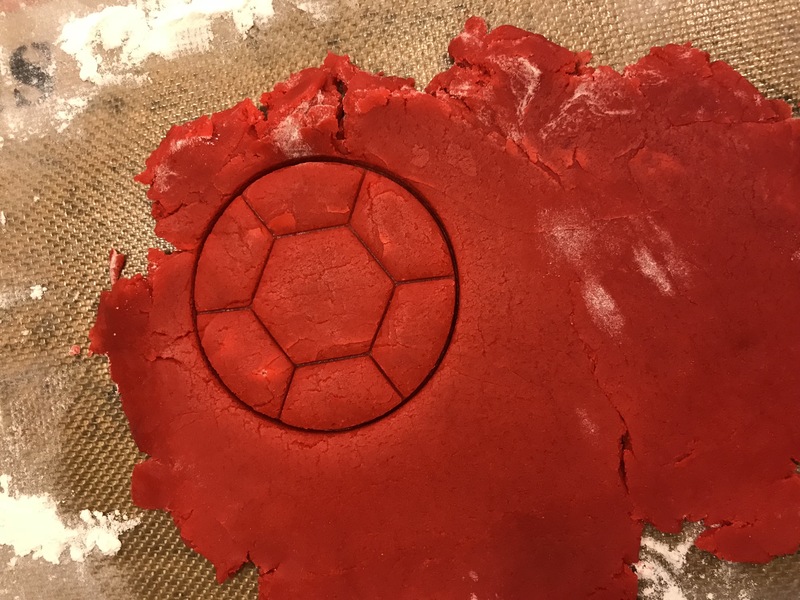 I Made Infinity Stone Cookies! 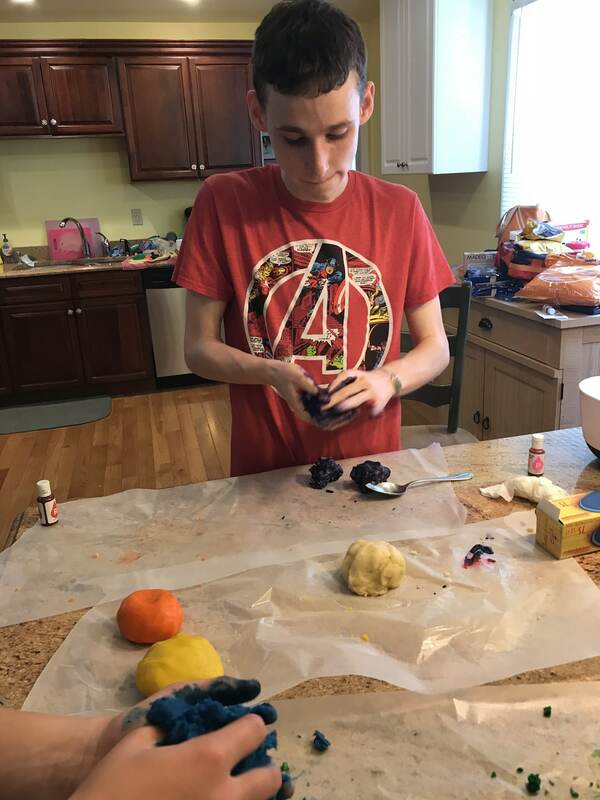 How do you follow up the baking of an Infinity Gauntlet cake? 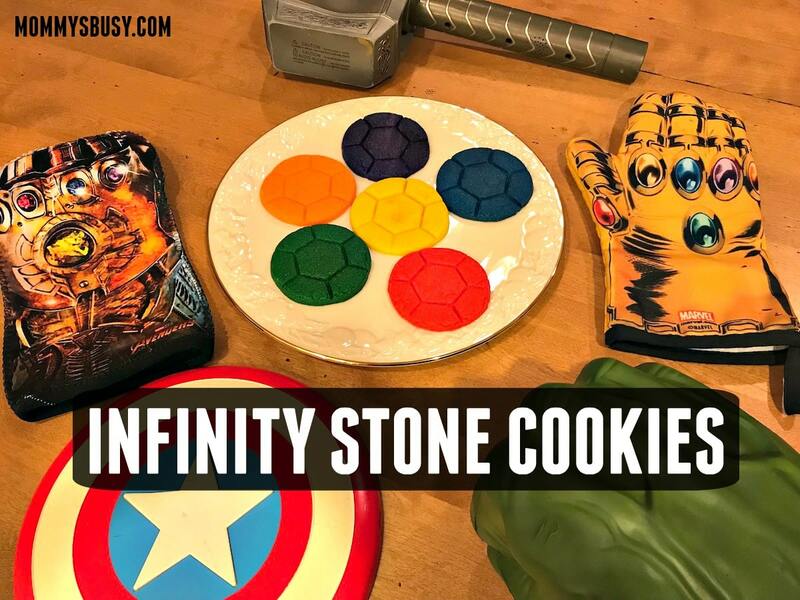 With super colorful sugary Infinity Stone Cookies, that’s how! Thanks to my Level 9 Clearance at S.H.I.E.L.D., I was sent an early Blu-ray edition of Avengers: Infinity War. (Yes, this movie’s just as good the third, fourth and fifth viewing!) Packed with super-cool extra featurettes, cut scenes, and the ever-popular gag reel, the Avengers: Infinity War hits Blu-ray on August 14. But what made this early delivery even more special was the secret recipe it came with. Even the Collector would be jealous of this unboxing! Yes, fanboys and fangirls! You now hold in your hands (if you’re reading this on your phone, that is) the most powerful cookie recipe in the cosmos. 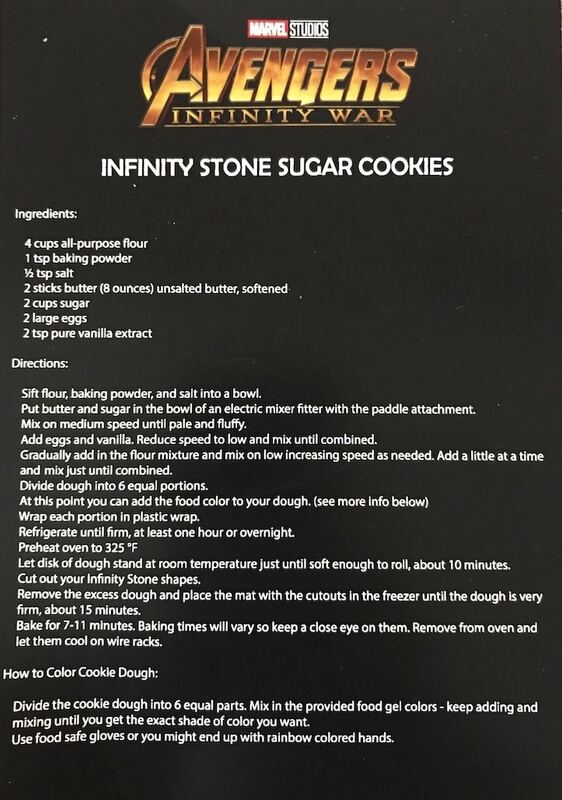 The secret to making Infinity Stone Cookies! 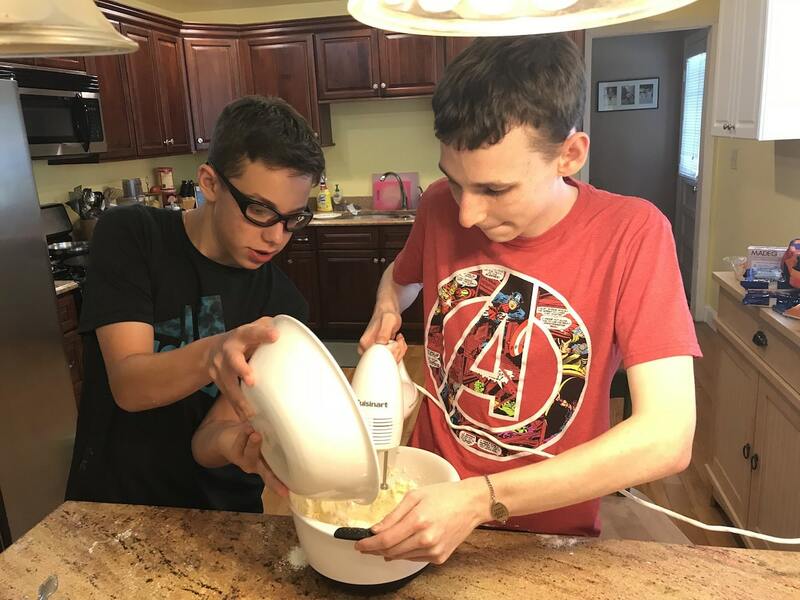 I, of course, couldn’t wait to get my kids cooking in the kitchen, so my wife and I sat back and directed Jason and Ryan around. 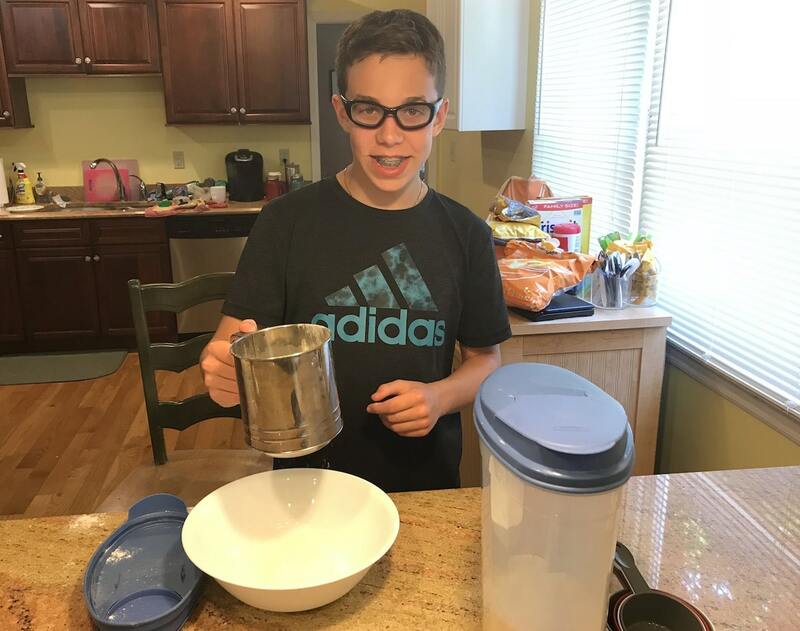 Next, Ryan and Jason were both introduced to… The Sifter! Sounds like a cool supervillain, doesn’t it? 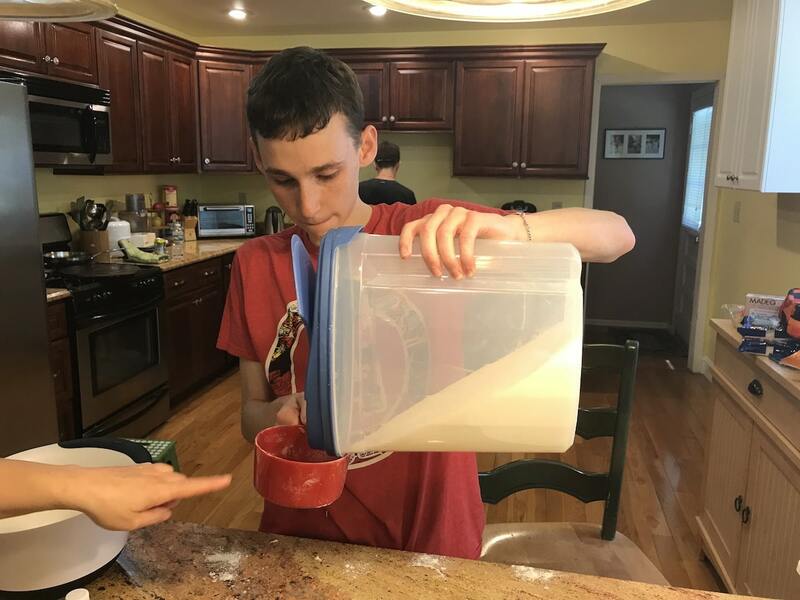 While Ryan sifted the flour, Jason started measuring out the sugar. You can’t have sugar cookies without sugar. It’s a fact. 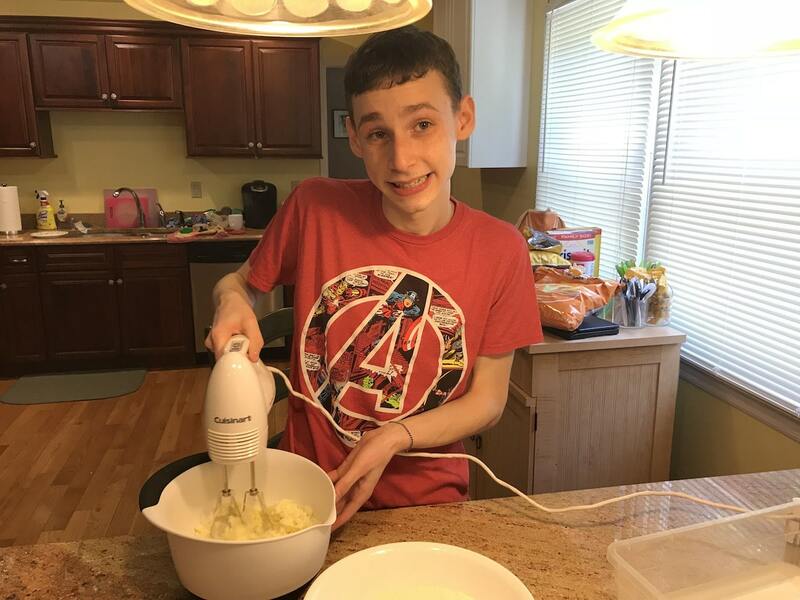 Jason then mixed the sugar and butter with our electric mixer. Despite it being electric, he said his hands hurt after constantly moving that thing around. I guess it’s like the jackhammer of the baking world. Wonder Twin Powers Activate! Oops. Sorry. 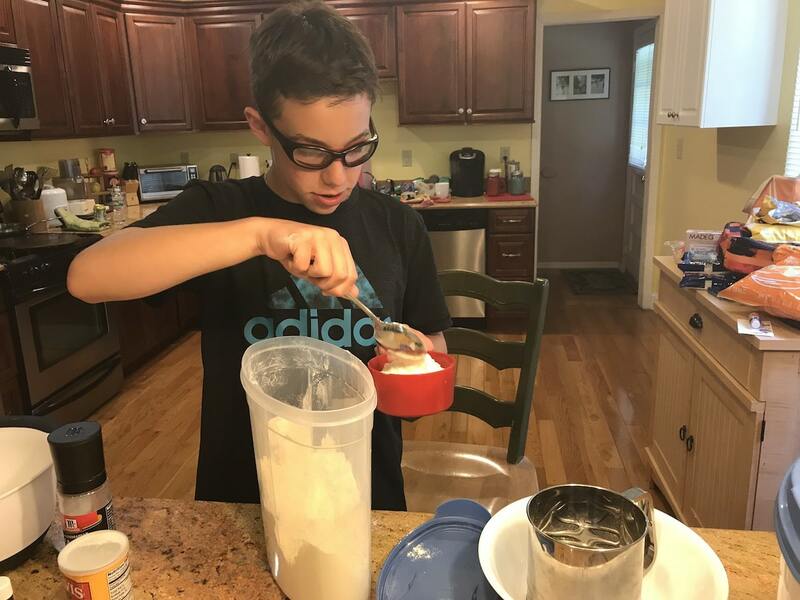 Wrong universe… While Jason continued mixing, Ryan poured the flour mixture in. See, they actually do get along. 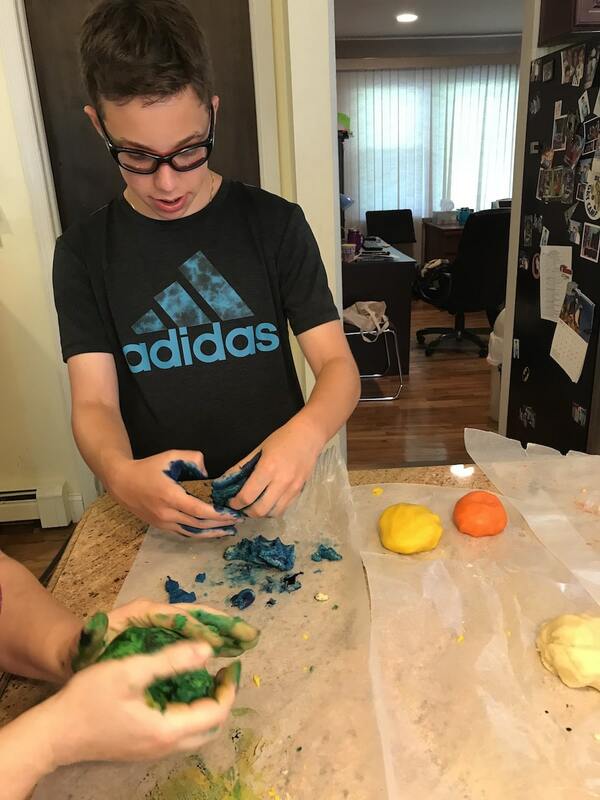 The biggest, toughest, most important step of all was actually creating the different colors for the Infinity Stone Cookies. After dividing the dough into roughly six equal parts, we rolled them each into a ball shape. Then we grabbed our food coloring and each started working on a different color. Basically, we just added enough drops until we thought the color was right. A ballpark guess is probably about 10 drops for each color. We then kneaded the dough in our hands, constantly tearing pieces off and turning it inside out. 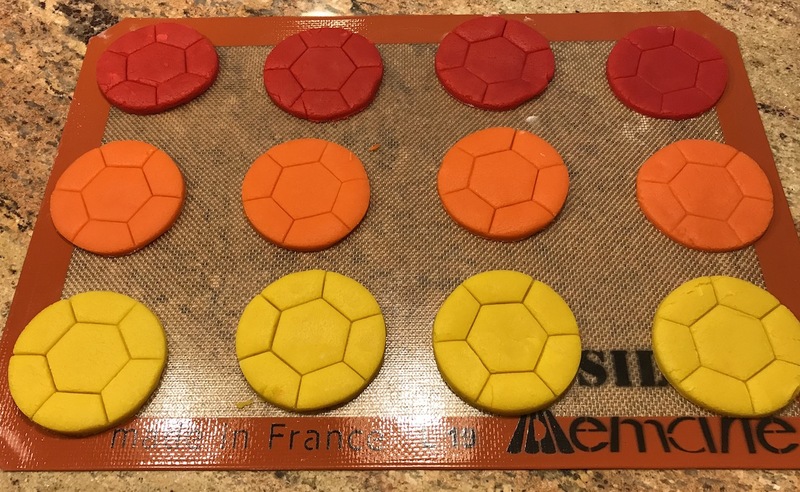 You really need to get the coloring into every square inch of the dough so just keep kneading and ripping and smooshing until you get the desired color throughout. 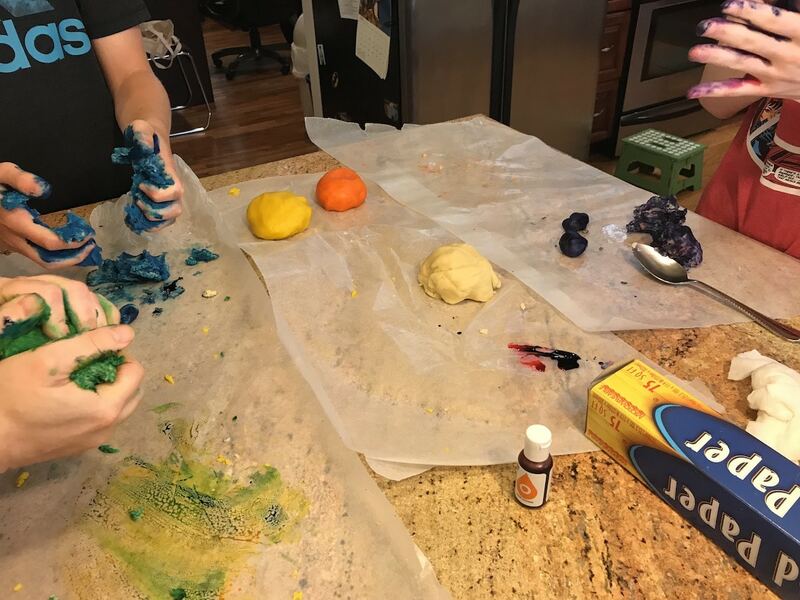 When we finished, it looked like we had six hunks of homemade Play-Doh! We wrapped each Stone in plastic wrap and put in the fridge for about two hours, while we all went out for sushi. When we got back, we took the dough out and let it sit for about 10 minutes to soften. Superhero secret tip: After sitting at room temperature for 10 minutes, grab each ball and knead it in your hands while keeping the plastic wrap on. Keep squeezing it until it gets soft enough. When ready, remove the plastic wrap and roll out the dough flat. 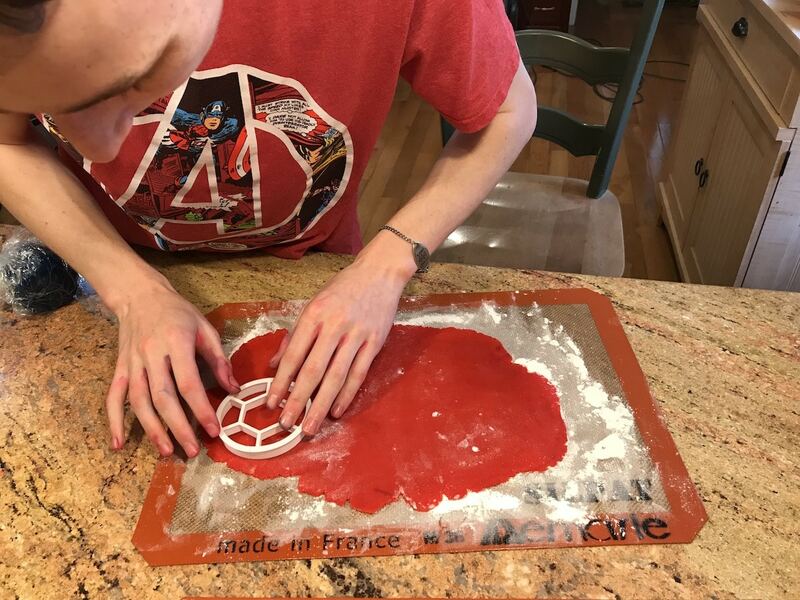 Jason then took the Infinity Stone Cookie Cutter and did what very few humans have ever done before… he created a Reality Stone Cookie! That one came out perfect. But the first few cookies we cut out actually didn’t show the gem detail inside. It was just a big circle. That’s because we had rolled our dough out too much. You need to actually keep it semi thick while flattening it out. You’ll get the hang of it after just a few tries. After cutting these bad boys out, we placed them gently on a mat (we love our Silpat! ), leaving a decent amount of space between Infinity Stone Cookies. Who knows what would happen should two Stones collide! 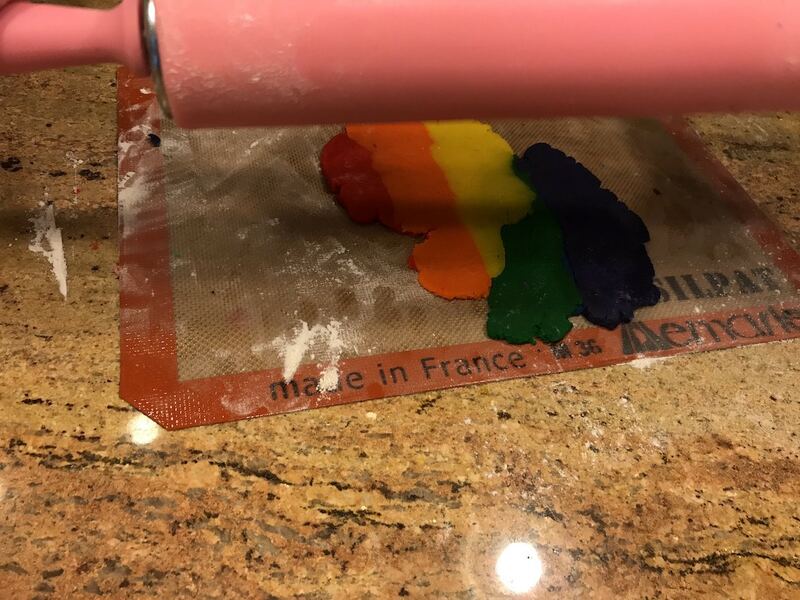 These cookies are just so crazy colorful, you can’t help but love them. And they’re not even baked yet! 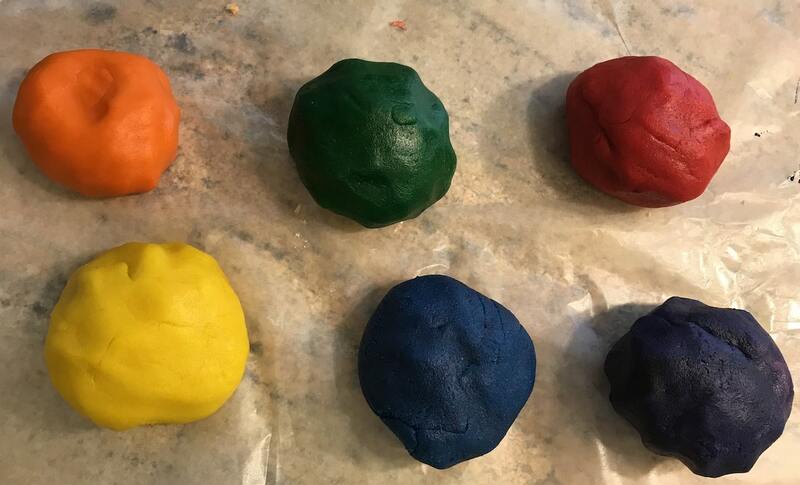 With each color dough, we ended up with a small amount after using the Infinity Stone Cookie Cutter. So my wife decided to mix the six colors and flatten them out. I guess you could say we made the Rainbow Bridge! 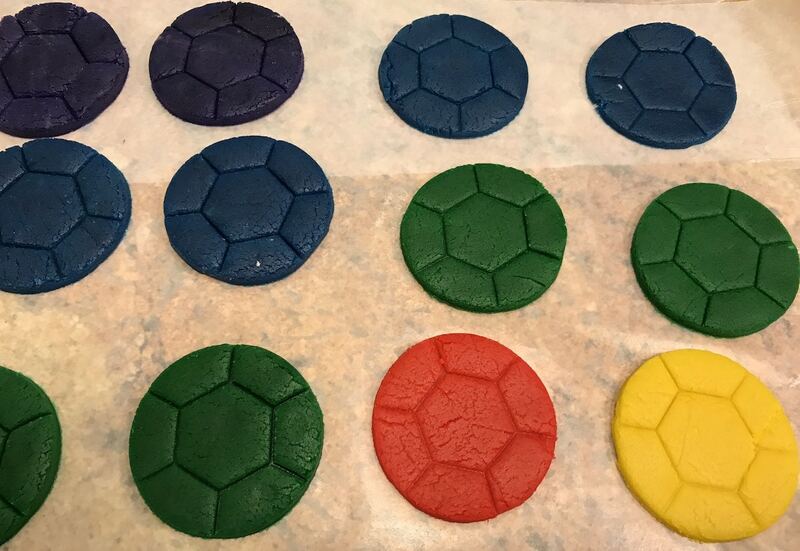 After cutting them out, we created some new Infinity Stone Cookies worthy of Asgard’s bakeries. 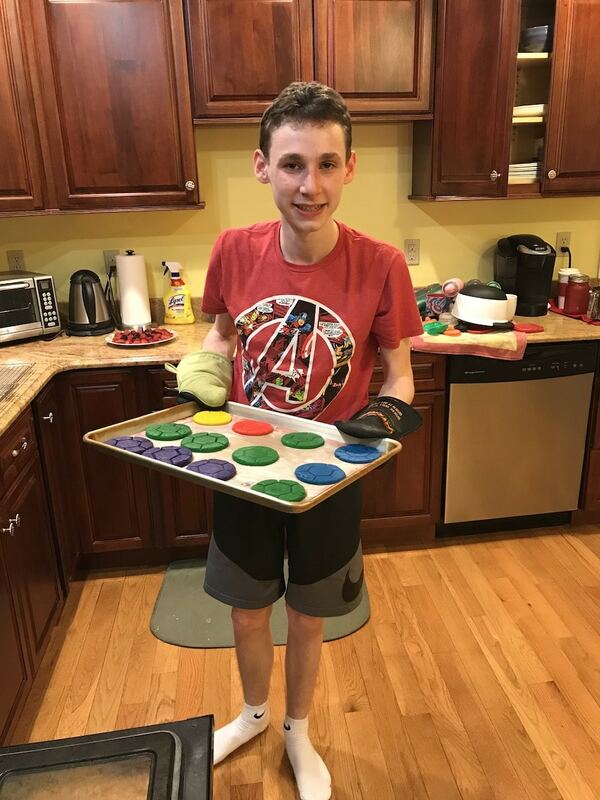 Jason put on his special Infinity Gauntlet Oven Mitt (sadly, it’s not made from uru metal) and put the cookies in to bake. 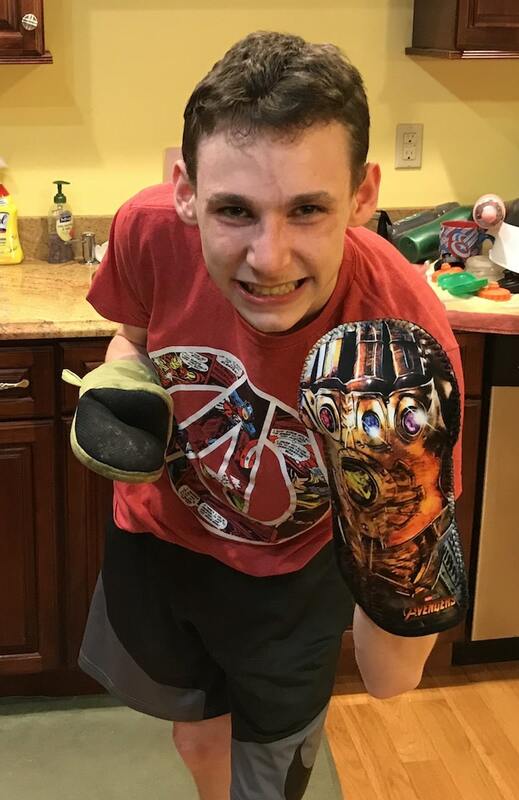 While waiting for the fruits of our labor (or cookies of our baking), Jason put on his best Thanos impression. The result? 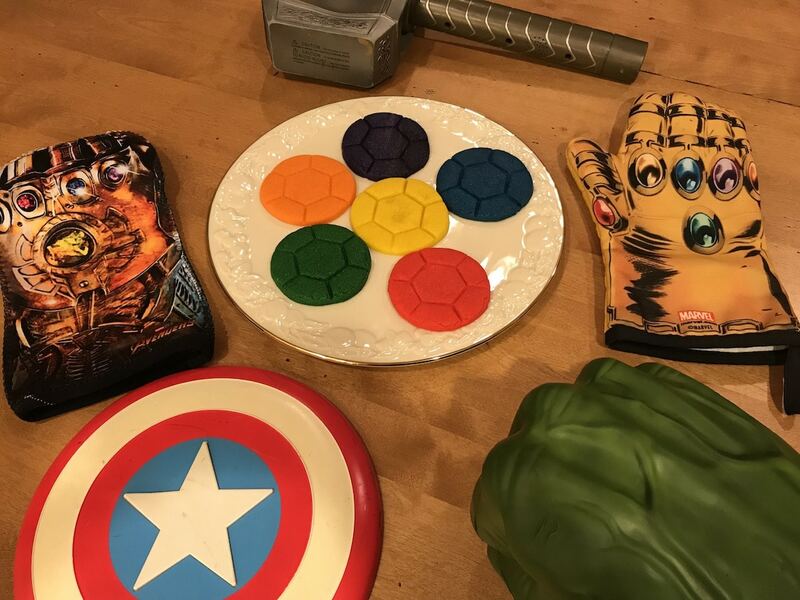 Glorious colorful Infinity Stone Cookies representing all six stones: Space, Mind, Reality, Power, Time and Soul. But would these cookies taste as good as they were powerful? To find out, I invited some very special friends over. Rocket Raccoon, Spider-Man and Iron Man all prepared to taste the power of sugar cookies. Tony Stark never met a cookie he didn’t like. And now you know the reason his helmet opens up like that. 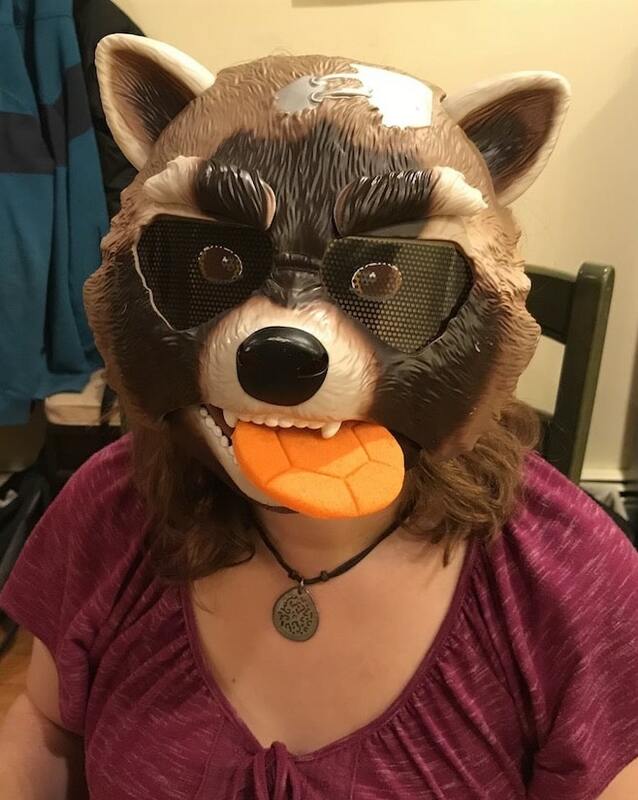 This rabbit is clearly the smartest among them all, deciding to chomp down on the precious Soul Stone! 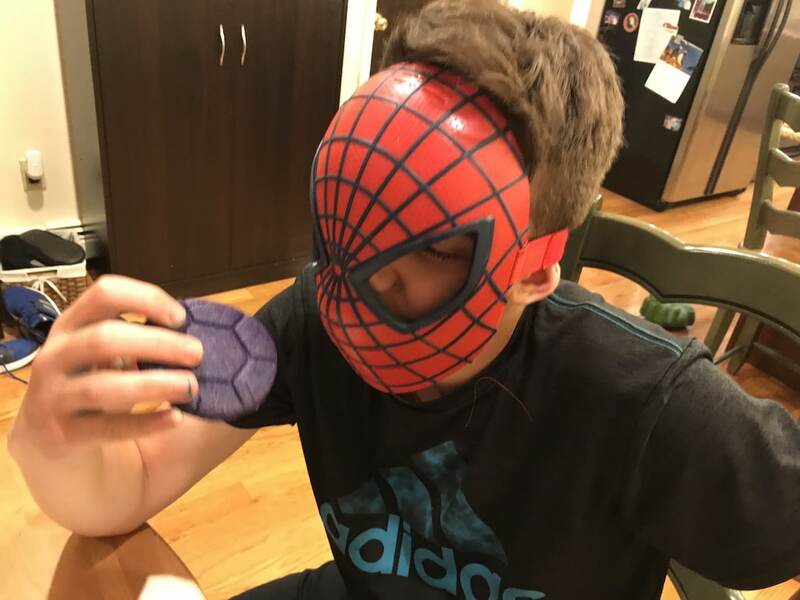 Poor Friendly Neighborhood Spider-Man. 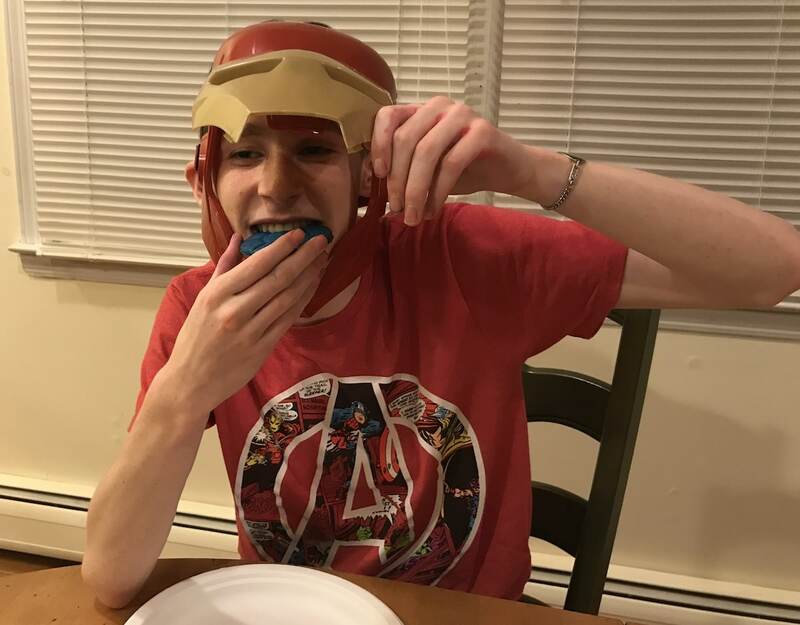 He can sense the power emanating from that purple Power Stone Infinity Stone Cookie but… well, it’s tough to eat when your mask doesn’t have a mouth hole. Which brings us to our star-spangled finale. 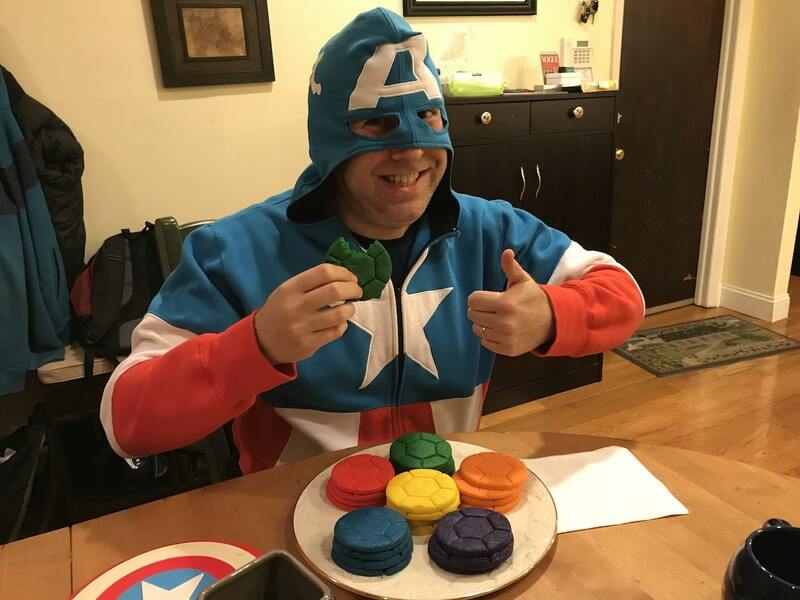 These Infinity Stone Cookies are 100% Captain America approved. Now I just need the world’s most powerful glass of milk to go with these sugary sweets. 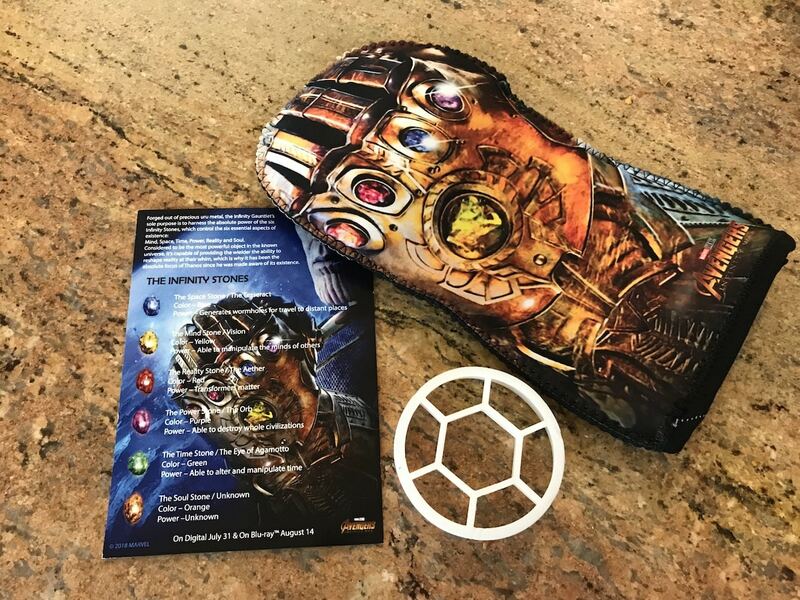 A lot of people have asked me where they can get the Infinity Gauntlet oven mitts and the cookie cutter. Well, that’s not an easy task, considering I was lucky enough to get them through some connections with some very Marvel-ous PR folks. But you’re also in luck. Because I did some digging and you can get these online yourself! 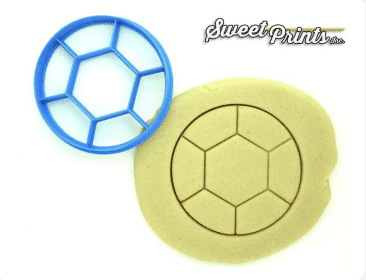 You can order your own Infinity Stone Cookie Cutter (called a Gemstone Cookie Cutter) from SweetPrints.com. The oven mitts were a promotional item, so your best bet is to just search the likes of eBay and Amazon Marketplace for one. Or perhaps with enough demand, some company like Think Geek will actually manufacture these for the masses.